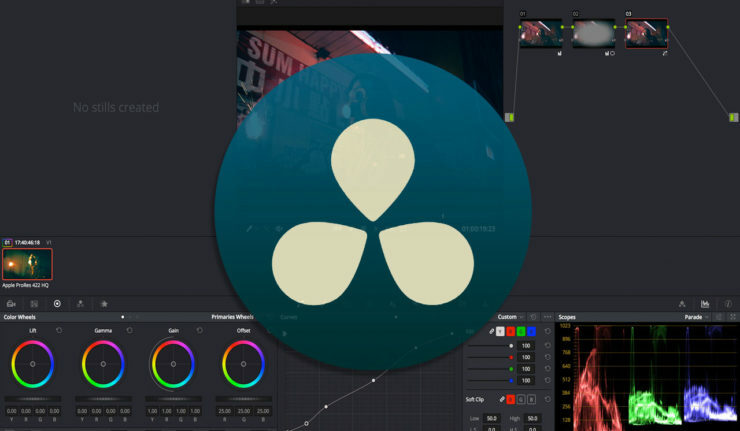 Welcome to the introductory training tutorial program for DaVinci Resolve 14. We are going to look at the interface, and begin with the conform, and first light process of media. This will be helpful not only for the post-production environment, but will also give you some insight into how Resolve is being integrated into the production pipeline. 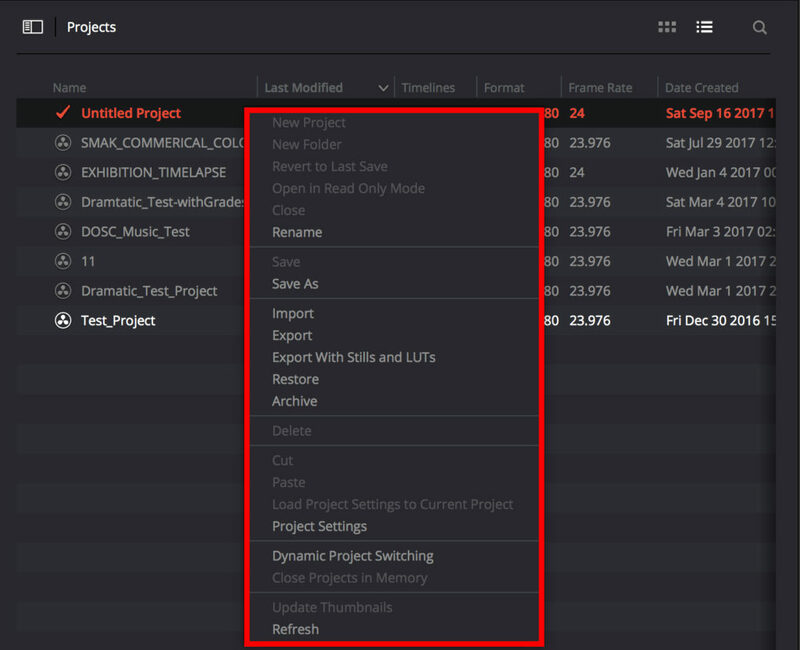 Let’s start off by opening up Resolve and arriving at the Project Manager Screen. Database can be displayed by selecting the show/hide icon in the top left corner of the window. You can either create a QPSQL(PostgreSQL Database); that is an object relational database management system, or use ‘Disk’ to specify a disk that you would like for the database to be created on. You can back up or import databases with these icons. Resolve by default uses a Disk database. Only reason to go with post-gres-q-l would be for sharing between Networked Resolve systems found in larger studios, houses of worship, or educational facilities. Here you can import, add, delete, export, or modify the config for various project by right clicking on one or the background. This will also give you the ability to bring in project from other accounts, or give a client a copy of a final project. 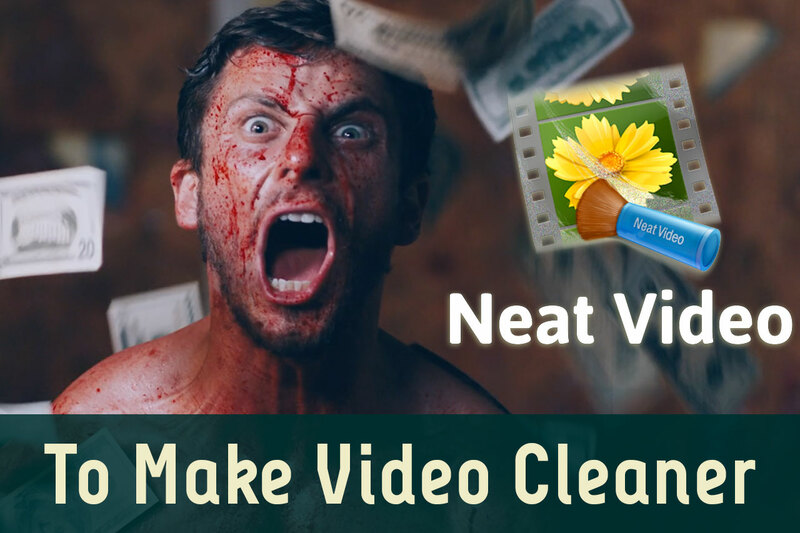 Start by clicking Untitled Project. 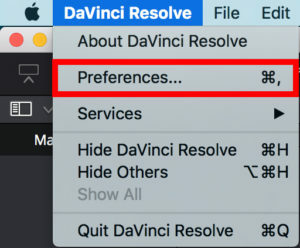 Found under DaVinci Resolve in the top left corner. 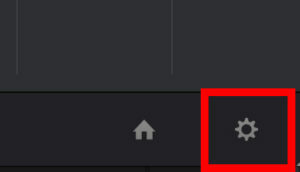 These are the constant settings you want every time you load up. Media storage destination should be first, this ideally would be a raid, or a solid state drive. 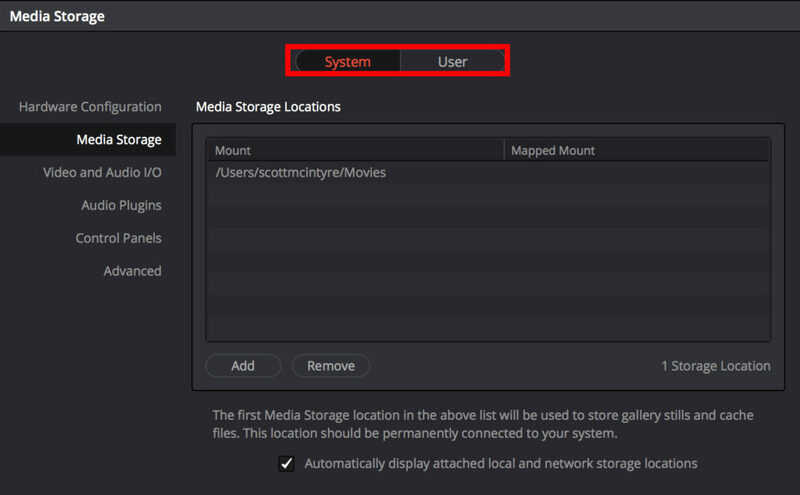 Hardware Configuration lets you know the hardware that is interacting with Resolve. The reason we are able to do so much is because of GPU acceleration. 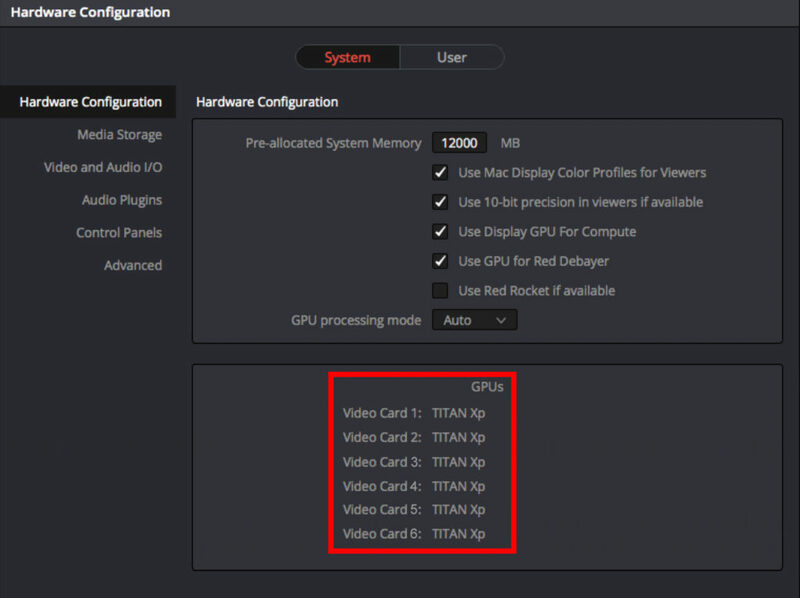 It’s highly recommended you have a graphics card for your GUI, and a separate GPU to work paralleled with Resolve video. My suggestion for anyone who can’t afford the pricey new Mac Pro, is to get a 2008-10 Mac Pro and put in a NVIDIA GTX 1080ti or Titan X dependent on your budget. Both of these are relatively cheap in comparison to the P6000 Server grade version, and won’t give you any issues if you're working on the most recent version of Mac OS and Nvidia Web Drivers. Next is to set the video capture device under Video and Audio I/O. 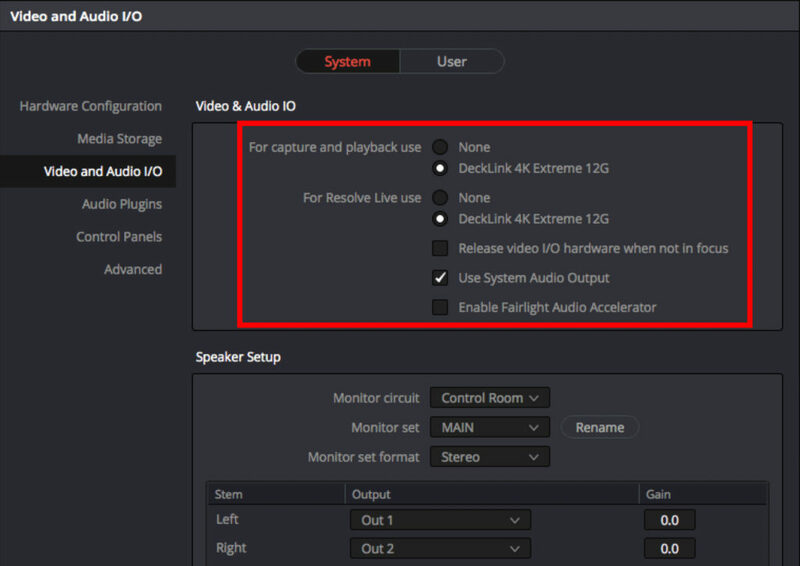 Here we can specify the capture and playback device or Resolve Live output configuration. There are also some new Speaker Setup controls if you have a Monitor Circuit. 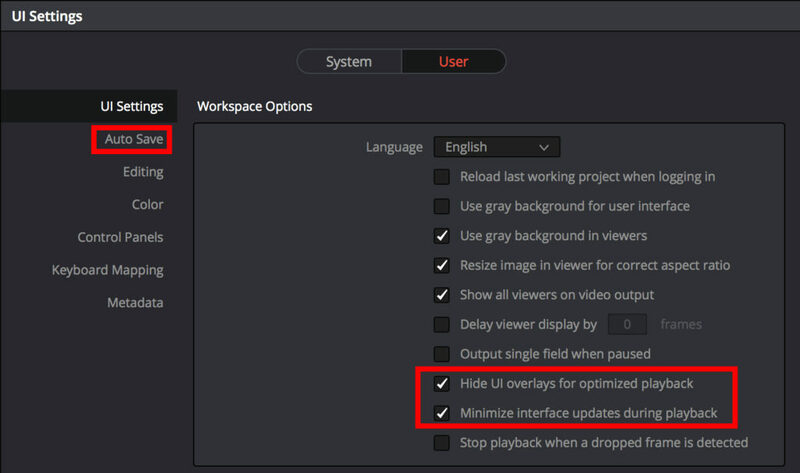 One of the big changes in Resolve 14 is a lot of the Project Settings were converted into Application preferences and put under the 'User' Tab. These include some of my favourites like the 'Hide UI Overlays for optimized playback' and 'Minimize interface updates during playback' to speed up Resolve performance. Also 'Auto-Save' needs to be activated and configured and if you have a panel for Resolve this is where you would modify those settings. Located in the lower right of the GUI. 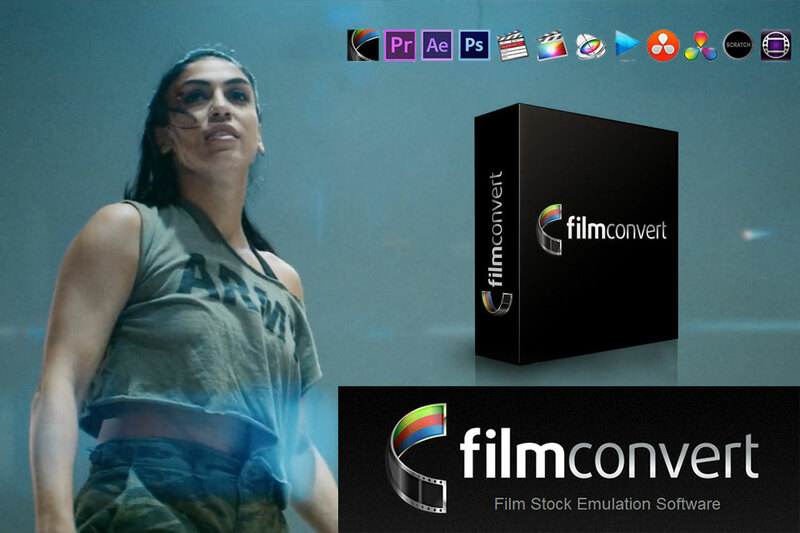 You normally do this before creating a sequence, or importing a project into Resolve. You can create presets to make it easier to manage your various project settings and hardware interaction. Set your project resolution, aspect ratio, frame rate, video monitoring settings, optimized media, cache, and Frame interpolation. Colour Science is now under the colour management tab. 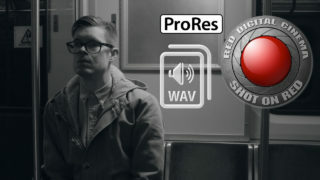 You can also specify your colour science in Resolve, which has 4 options. 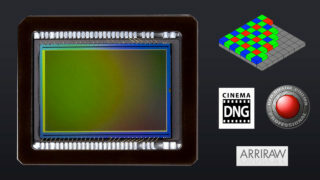 Davinci YRGB which is classic, DaVinci YRGB Color Managed, and ACEScc (Academy Color Encoding Specification) and ACEScct- Rather new, and is trying to standardize the colour science of digital cinema cameras. Both Color Managed and ACES achieve the same goal, just different workflows. 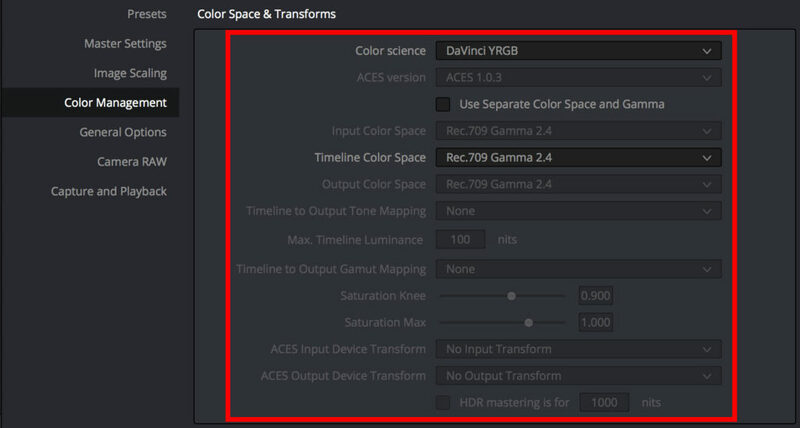 The timeline color space is Rec.709 Gamma 2.4 by default. But you can modify this to match your desired output whether that be SDR or HDR. 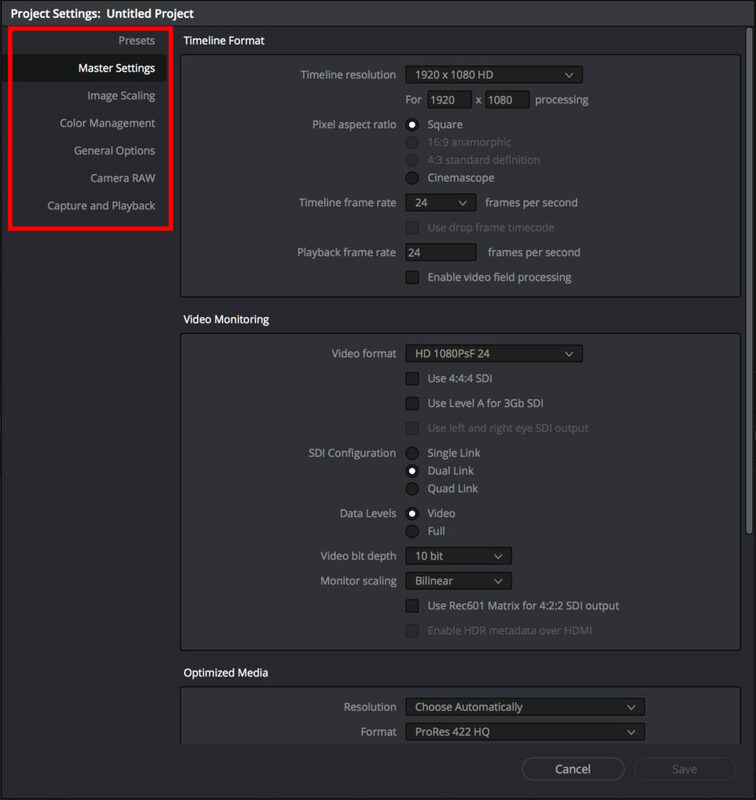 Look-Up Tables, Broadcast Safe Levels, and Soft Clip LUT's can also be modified under the Color Management Tab. Enables you to set the master settings for a raw camera file type in your project. These can be modified on a per clip basis while grading, but this is good to set for the general project look, and decode settings. We will do an in depth overview of common Raw Cameras later. Now that we have a general understanding of the application and project preferences, let's take a look at the Media Page.